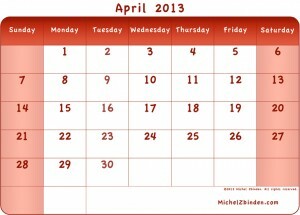 April Roundup: What does it take to get technology to market? Last month’s lineup featured great posts on how established companies should innovate, a startup CEO’s tips for wooing investors, the risks of discounting your product and the need for philanthropy to be a natural part of doing business. And of course, there was plenty of sage advice on what it takes to make marketing work. This is the 12th article in a continuing series chronicling the growth path of Screach, a startup based in Newcastle upon Tyne in England’s North East. Screach is an interactive digital media platform that allows users to create real-time, two-way interactive experiences between a smart device (through the Screach app) and any content, on any screen or just within the mobile device itself. We invite your feedback. Investment. It’s big news in the startup world. Sites such as TechCrunch and The Next Web are full of stories about how much a company has raised and what it wants to do with it. But if you’re set on putting together a round for your business, you’ve got to think about more than just passing around the tin. There are mountains of articles out there about what investors are looking for, and how to have those conversations, so have a look around and get an idea of how to go about it the right way. This is the 11th article in a continuing series chronicling the growth path of Screach, a startup based in Newcastle upon Tyne in England’s North East. Screach is an interactive digital media platform that allows users to create real-time, two-way interactive experiences between a smart device (through the Screach app) and any content, on any screen or just within the mobile device itself. We invite your feedback. Growing a startup is all about establishing and managing relationships. There are the relationships that open doors and create opportunity. And then there are the more pedestrian ones involved with the day-to-day processes that get product to customers. Relationships in both categories gave the Screach team plenty of reason to lose sleep over the past couple of months. The first was a pitch opportunity for CEO Paul Rawlings that made the hairs stand up on the back of his neck. The second was the potentially disruptive hiccup presented by the Chinese New Year. This is the 10th article in a continuing monthly series chronicling the growth path of Screach, a startup based in Newcastle upon Tyne in England’s North East. Screach is an interactive digital media platform that allows users to create real-time, two-way interactive experiences between a smart device (through the Screach app) and any content, on any screen or just within the mobile device itself. We invite your feedback. They say the world is more connected than it’s ever been. You can push software to a global audience with the tap of a key, and serve customers worldwide from a desk in your living room. Of course, the trade-off is that it’s loud out there. You’re immediately competing with the world, and you’ve got to be disciplined, dedicated or clever to be heard. So how do you go about building a market in a new country when you haven’t got millions of dollars to throw at it?